This is one of those projects I started over a year ago – yes over a year ago. 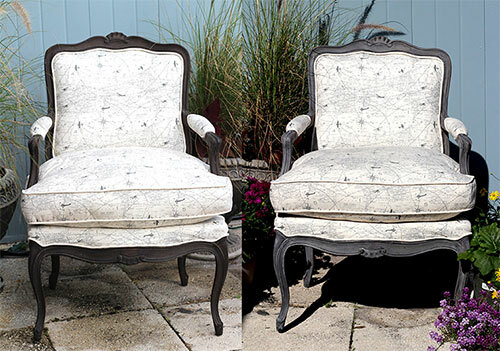 It took me that long to remove all the staples (if you’ve ever done a re-upholstery job then you know what I’m talking about); decide on a fabric; make my own piping and then summon up the courage to actually attempt the re-upholstering and applying piping. And, in between there was a move to a new house so yes, this was a long time in the making. 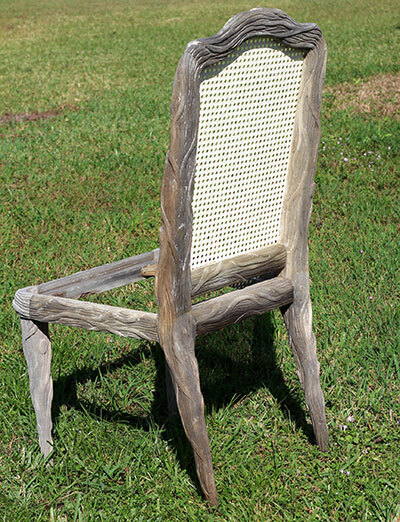 Amazingly enough, this is one of those projects that came out so beautiful when it was finally finished that it was well worth the time it took and I now have a beautiful driftwood Bergere chair. 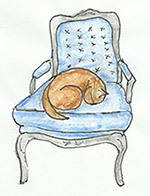 This is the chair I started with – picked up at a thrift store for a mere $25. Pretty ugly but the style is exactly what I was looking for. 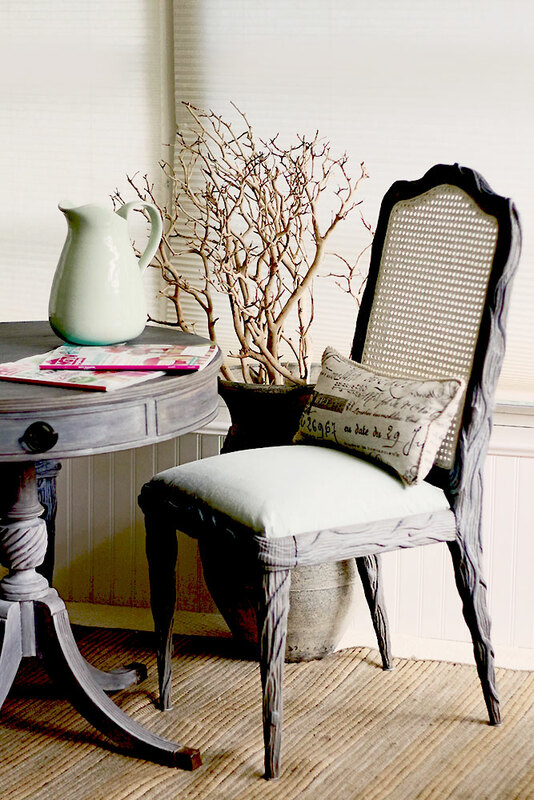 I knew I wanted a Bergere style chair to use the Driftwood Weathering Wood Finish to create a driftwood finish on the wood and recover it with some fresh new updated fabric most likely in gray tones. When the time came to choose a fabric, it took forever to decide and I actually purchased three different fabrics. I ultimately decided it was time to just pick one and move forward – anything was better than this hideous blue and pink fabric. The first step is removing all the trillions of staples. I used a pair of needle nose pliers. 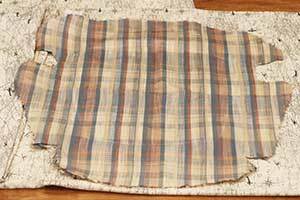 You want to save all your pieces of fabric, including the lining pieces as you will use them as templates for cutting your own fabric so don’t get impatient and start tearing and ripping. 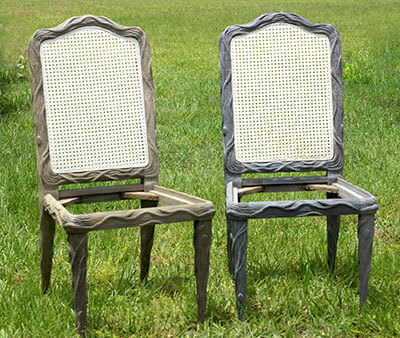 You’ll also want to take good closeup pictures of every angle of the chair to show how the fabric folds and the piping flows. 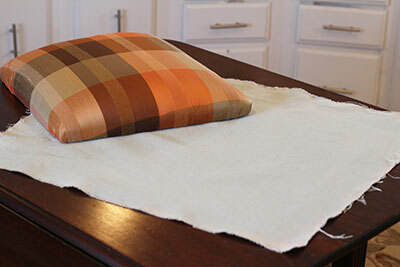 This really becomes helpful as does using the old fabric as a template to cut your new pieces. 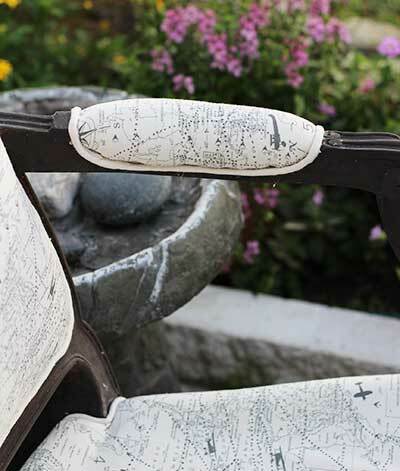 Pay attention to the layers and sequence of batting, webbing, canvas and any other pieces that make up the underlying structure of your chair as you will want to duplicate it as much as possible and use the same pieces when possible. Take pictures and make notes – you’ll be very glad you did. Since I was going to use a paint stripping solution, I needed to tape off the areas I wanted to protect. Then I started the very messy project of stripping this bad boy before applying the Driftwood Weathering Wood Finish that would give me the driftwood finish I was looking for. 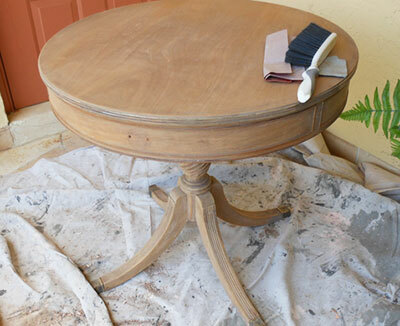 Once the old paint was removed, I mixed a packet of the Driftwood Weathering Wood Finish powder with a cup of water and started applying with a brush. 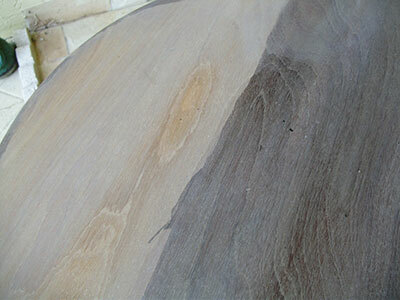 And of course, because I’m so impatient, I don’t test it first and I get a very dark color – darker than I really want. But I keep going anyway because it still looks good even though it’s darker than I want. What I should have done was test it first and I would have known to dilute the solution. This would have resulted in the lighter finish I really wanted. 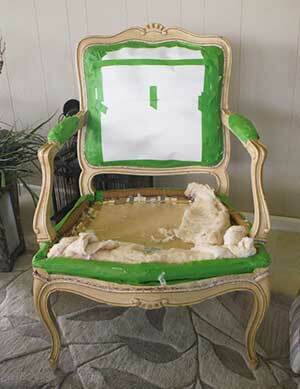 Now starts the hard part of re-upholstering. 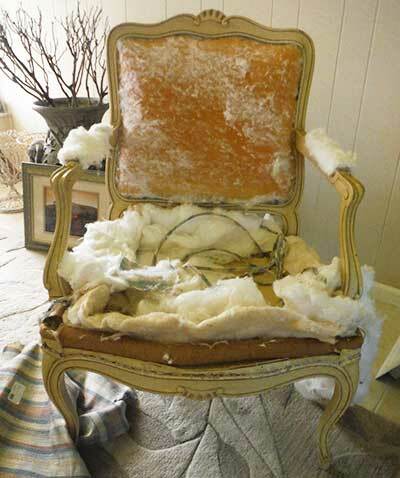 But this poor little chair sat like this for over a year before I picked up this project again. 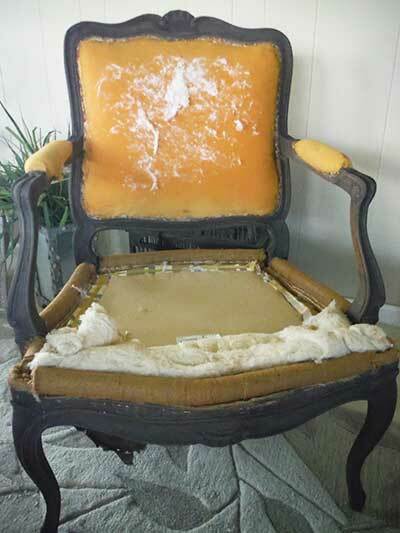 Now, a smart person would have applied the Driftwood Liming Wax at this point certainly before recovering the chair with fabric but not me. 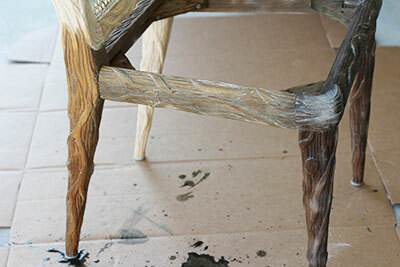 I was still okay with how dark the wood was so I began the re-upholstery. Here’s where researching the internet came in very handy. 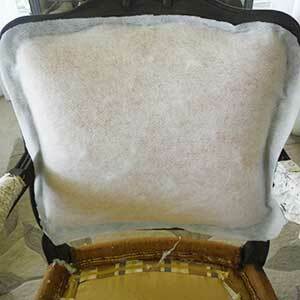 I researched many videos and websites on re-upholstering chairs and gleaned a lot of good information. 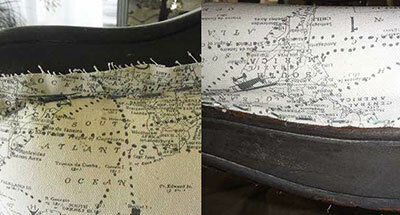 I am a fairly good seamstress so sewing the cushion didn’t scare me. Cutting and making my own piping was just time consuming but ended up not being that bad at all. 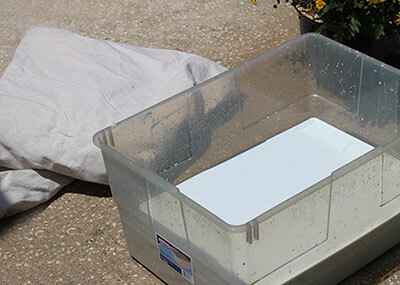 Even applying the piping was pretty easy using Magna Tac glue. 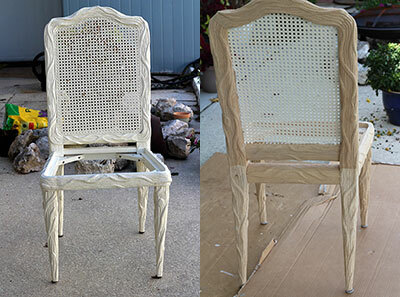 Following the advice of one website – I actually used a spray glue to fuse and apply the webbing and batting to the chair. 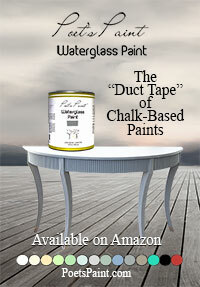 This eliminated the need for using too many staples in the areas where the wood was already worn out. Using the old fabric pieces as my templates, I cut all my new pieces in my nice new fabric. Once I applied the batting to the front, back, arms and seat with the spray glue, I started stapling the fabric in place using an electric staple gun. This is where I learned a very important lesson that helped me a lot and made a world of difference so I want to pass it on. I initially started by pulling the fabric taught on all sides and stapling as shown on the left below – then I saw a video of someone who suggested folding the fabric under before stapling and I literally pulled out all my staples and started over with rolling under the hem before stapling. You can see how much neater and cleaner it looks and I can tell you it will save you time as you will not have to go back and cut away the excess and you will not have hanging threads. And it’s so much neater and easier to cover with either a single or double row of piping. Using Magna-tac glue I applied my single row piping. Here is another big tip I’d like to share. 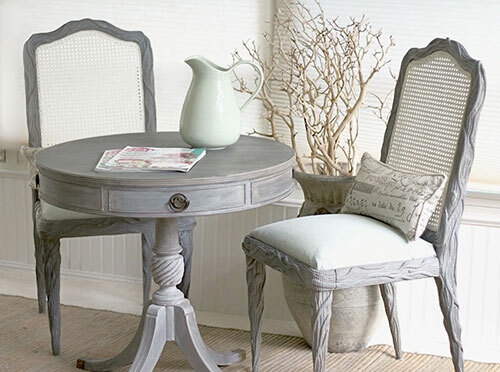 Measure and sew your pieces of piping together to create more than enough length to cover the area you are working on. Trying to piece together two pieces of piping because you come up short just makes it very difficult and usually ends up looking sloppy. Plus it usually ends up with trying to piece it together in an awkward place like smack in the front where it will be quite noticeable. It’s so much easier if you have the right length to fully cover the area right from the start. 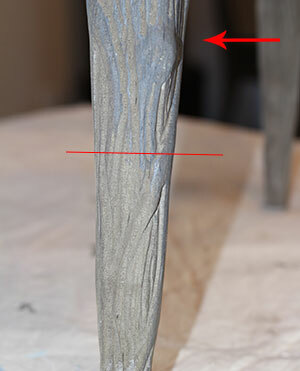 Here you can see I’ve glued on the piping on the arm and tucked and glued the ends. Start and end in the most inconspicuous area possible. Start with small sections first until you get comfortable with it though it’s not that hard. Just make sure to cover your staples. 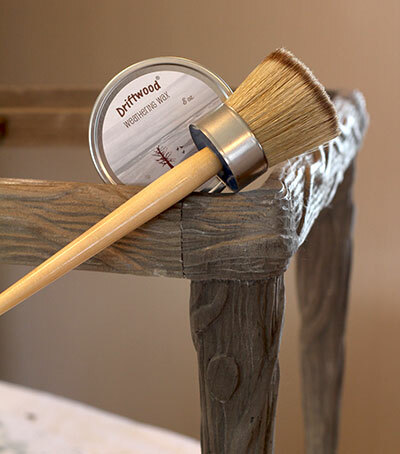 Weeks after the chair was completed, I decided to attempt applying the Driftwood Liming Wax to lighten the finish. Not an easy task and not one I recommend. Trying to avoid getting the wax on the fabric was difficult at best but with a lot of effort, I managed. 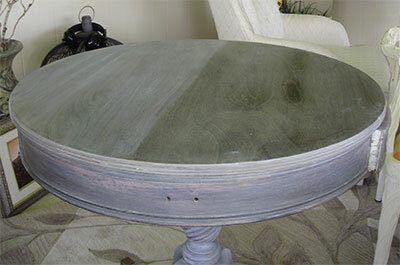 I do like the finish so much better. You can see the difference below. 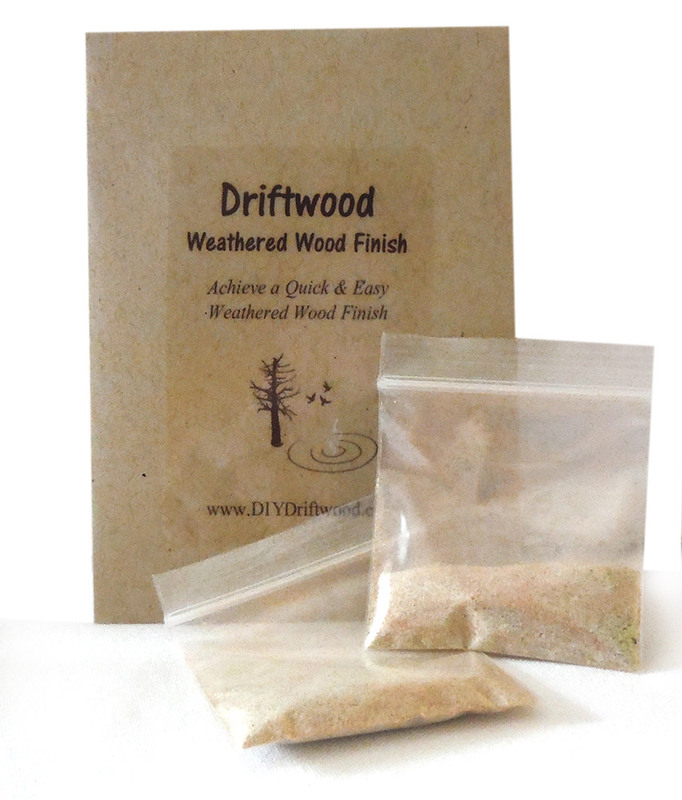 This is the driftwood shade I was looking for and if I had just taken the time to test the Driftwood Weathering Wood Finish I would have known to dilute it and would have gotten this color without having to add the Driftwood Liming Wax. But I will say it again – this is one of my favorite projects and it came out so well. 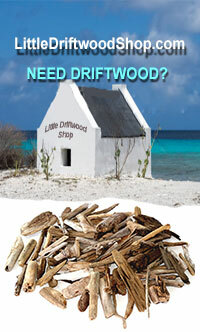 I finally have my driftwood Bergere chair. 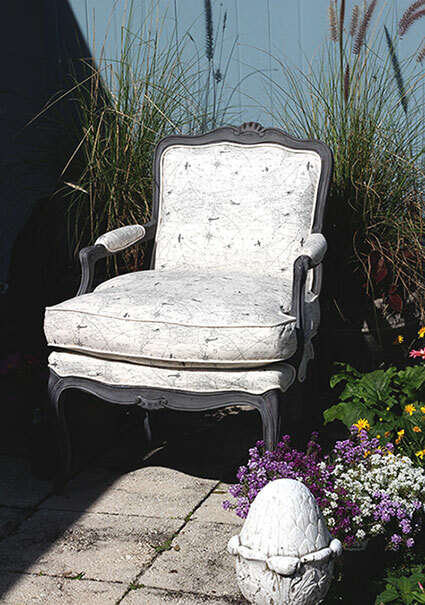 This chair would sell for an easy $600-$700 in the stores and it’s going to look amazing in my sunroom as soon as I can get that room finished. 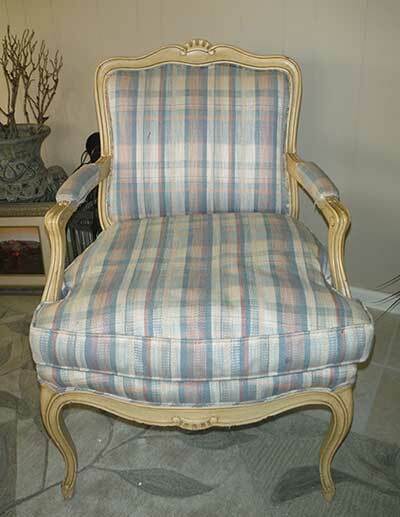 Here is a link to a site littlegreennotebook.blogspot.com that was very helpful to me while attempting this first re-upholstering project.